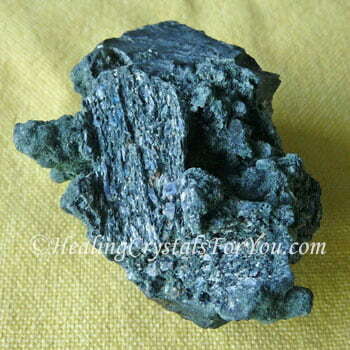 Jeremejevite has a lovely energy that allows you to know that you are perfect just how you are, and that you're in the right place for your personal well-being. It has a quite strong vibration for its size, and although this crystal is tiny you can easily feel its vibration especially within the chakras above the heart, and most strongly at the third eye chakra. 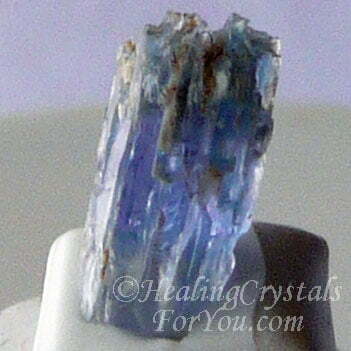 These rare crystals have powerful metaphysical qualities, with one of the most helpful properties of this crystal being its action to aid those who have had a loved one pass over. It may help to lessen the grief felt at this time and may help you to deal with change that may be happening in your life. 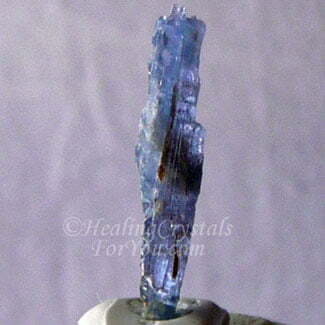 This crystal was named after a Russian mineralogist Pavel Vladimirovich Eremeev. When his surname is translated from the Russian language to English it ended up as Jeremejev. 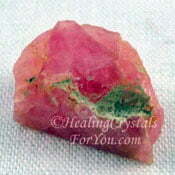 This mineral was discovered in 1883 in Siberia. Although it is rare, it has since been found in Namibia, Myanmar and in Germany. 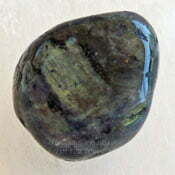 It is said to be one of the rarest minerals on the planet, yet it is still reasonably easy to obtain if you make an effort to find it. 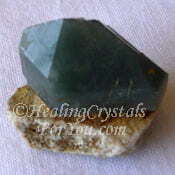 I was able to get two, one from each of two different crystal suppliers when I was looking for them a few years ago. It's true that it is a quite rare crystal and most pieces available, like the ones shown here are very small. 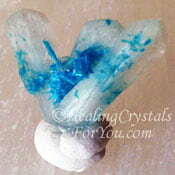 So the photos do not easily capture the details of the crystals well, due to their tiny size. It is an aluminium borate mineral and it is known to come in a number of colors, including white, almost colorless, pale yellow, yellow brown and blue. The crystals form in a prismatic hexagonal shape, and it has been found in areas where stones such as Albite, Tourmaline, Quartz and Domolite are also found. The longer of the two stones show here is around the size of one and a half grains of rice, end to end. 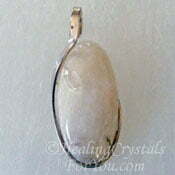 The other crystal is a little bigger all over, so you can see they are quite small. 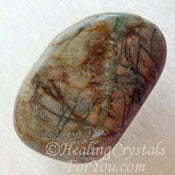 This stone is beneficial when used in meditation as it may stimulate the psychic gifts of clairvoyance and precognition or the ability to know what the future holds. 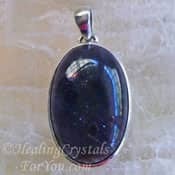 It's vibration will help anyone who feels either superior or inferior to others, and it is an excellent healing crystal, and will help to eradicate disorganized cellular growth in the body. 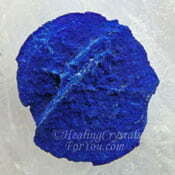 Its energy also resonates well within the heart, the thymus or higher heart, the throat chakra and crown chakra and is a beneficial stone to use in your daily meditation. Its action to stimulate clairvoyant gifts and the ability to see psychic visions, may be very useful if you work in psychic employment. Its capacity to assist precognition or the ability to know what is going to happen in the future may be highly advantageous. 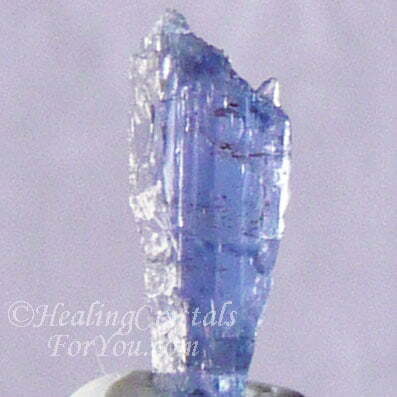 These tiny blue crystals are known to have a good action to stimulate the growth of second sight, also known as psychic visions or clairvoyance, or the ability to read the future. 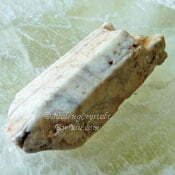 These stone are excellent used in meditation as their energy is easily felt at the brow chakra or third eye where its action is very strong . After the loss of a loved one it can be hard to deal with the grief while also needing to adapt to the changes that life can bring. 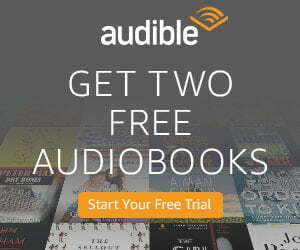 This can be quite difficult, and a little help may be beneficial. 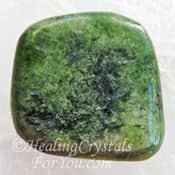 These crystals assist you to deal with change in your life and at the same time are useful stones to assist the deep grief often felt when a loved one dies, sometimes unexpectedly. Their vibration can also be beneficial if health issues come upon you unexpectedly that also require you to make changes in your life. 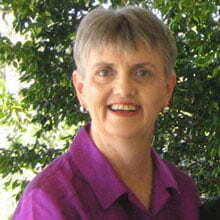 Often there is grief associated, when you become aware that you may need to alter how you live your life. 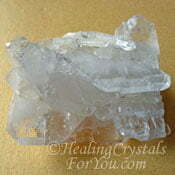 These crystals have a number of useful healing properties. Their action to help to assist with the eradication of disorganized cellular growth in the body may be highly beneficial. Disorganized cellular growth is known to be related to the growth of cancer cells so their vibration may assist the healing of those who are working to heal cancer. 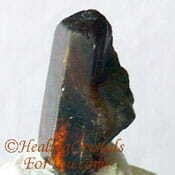 Other healing attributes that these tiny crystals embody is their action to aid health issues in the colon and to assist the healing of frost bite and the results of chills. "Change your thoughts and you change your world." Norman Vincent Peale. These stones have a good action to aid grief, and may be particularly useful when used following the death of a loved one. 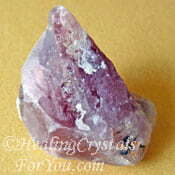 To boost the action for this purpose, you may like to combine them with other crystals that may assist you to deal with grief. 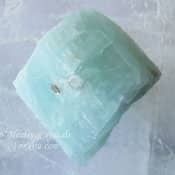 Some specific stones you could choose includes Aquamarine, Green Diopside, Apache Tears, Tugtupite, Cavansite, Stilbite or Lepidocrocite. 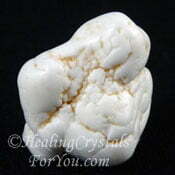 These are good stones to help you to deal better with change in your life, but as this can often be challenging, you may wish to use more than one stone for this purpose. 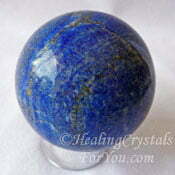 Other stones that aid you to deal better with change includes Picasso Marble, Bastnasite, Cavansite or Labradorite. 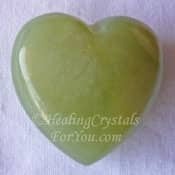 If you have working on developing psychic gifts you might already know about the stones that can assist you to experience precognitive ability or the capacity to tell the future. 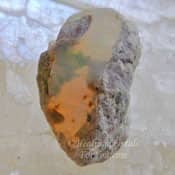 But if you are not aware of them, check out the other crystals that also aid precognition including Ethiopian Opal, Prehnite, Wollastonite and Faden Quartz. The gift of clairvoyance or second sight can assist your precognitive abilities as they are closely related. 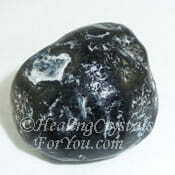 To stimulate psychic visions, and if you work towards it, to see visions of future events, use this stones with other crystal for developing clairvoyant abilities. 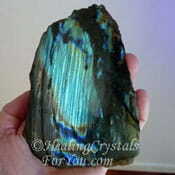 Crystals such as Labradorite (mentioned above), Lapis Lazuli, Dream Quartz, Magnesite, Iolite, Azurite or Larvikite may be helpful.